Posted on 2017-05-01 Reading Time is 3 minutes, 9 seconds. We’re excited to announce that the Visitor Management Award goes to Grand Central Tech. Who is Grand Central Tech? 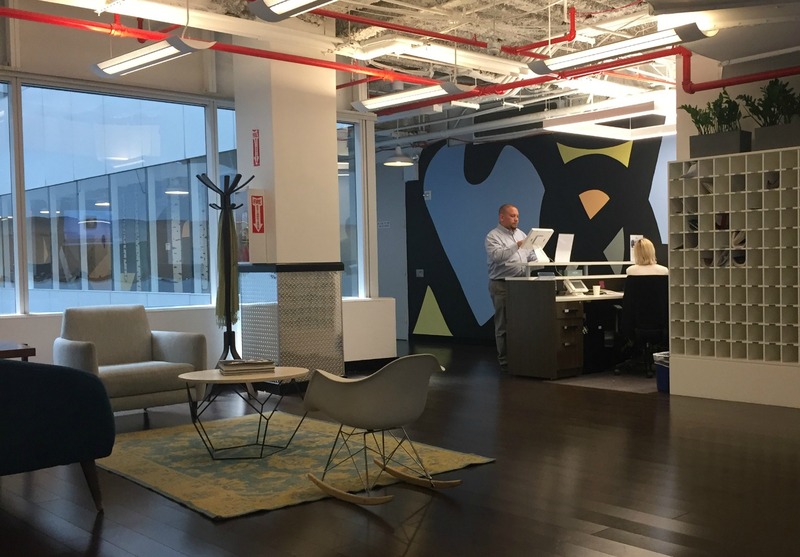 Grand Central Tech takes a unique position in the field of startup incubators. Their mission is to build a strong community for high-potential entrepreneurs, providing full range support to new ventures to grow successfully. Alongside access to funding, partners and mentors, GCT offers a 100,000 square foot co-working space in the heart of Manhattan, close to the iconic Grand Central Station. Hosting some of the most talented individuals under one roof, has created an extraordinary environment for innovation. To support young businesses everyday, GCT has taken on the responsibility to create an efficient and safe infrastructure. Providing a home to ever more diverse brands in one space comes with unique challenges. One aspect is visitor management. Their co-working space has grown to cover 3 floors, accommodating hundreds of people every day, all of which need to be registered and hosted effectively by the responsible startup. Above all, GCT recognised that visitors represent great opportunities for new businesses and it is therefore critical to make a good first impression. 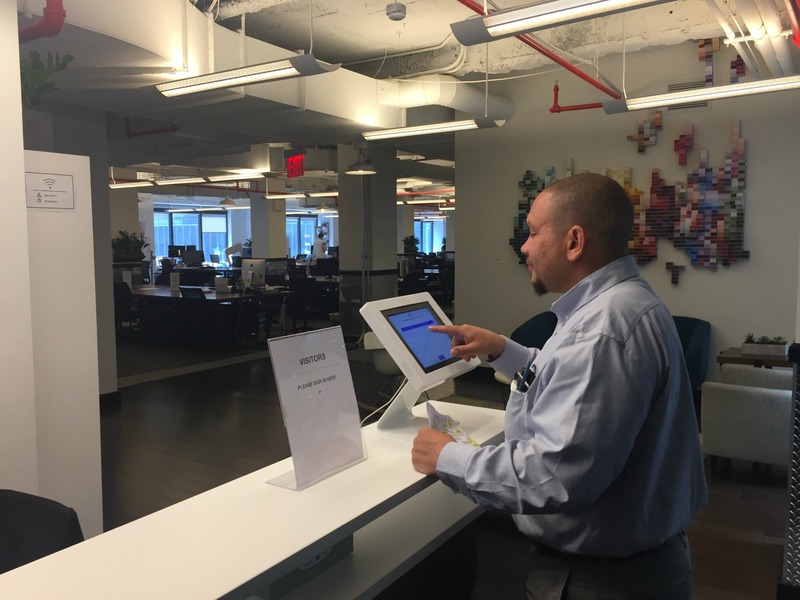 With a shared passion for technology, Grand Central Tech saw an opportunity in implementing the Traction Guest cloud-based visitor management solution to solve their headache of guest registration. It allows for custom sign-in experiences on each floor, all integrated into one live account. With a digital guest book, GCT is now able to know more about who is entering and create dedicated host lists for each tenant in their space. With attention to detail, technology is enabling customization of the design on each iPad by choosing images, company logos and more. They wanted to take the customization even further and pushed Traction Guest to give users the option to tailor the host notifications. With this additional feature, they can adapt the content for each location. In the true spirit of innovation, thank you for pushing us to continuously improve! Changing how they manage visitors is saving invaluable time each day as well as contributing to their modern brand dynamic. Starting a new venture is hard. Grand Central Tech acknowledges that removing some barriers will impact the growth of startups and their ideas. With the help of suitable technology, GCT can continue to focus on building a community and bringing people closer together. We admire GCT’s strive to focus on what matters. To celebrate how they use technology to accommodate an army of brands under one roof, we are awarding them with the Visitor Management Award. Continue to break out of the ordinary and help make innovation happen!